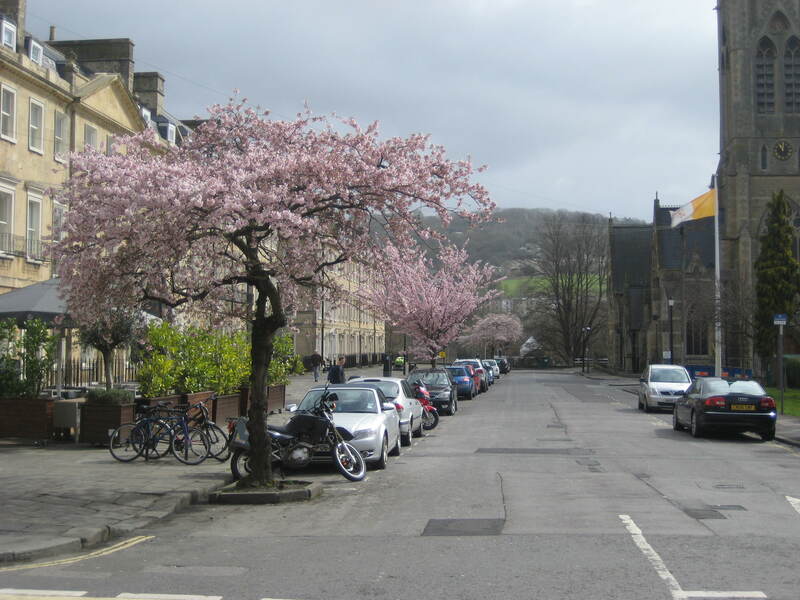 Spring blossom along South Parade. Good to see Spring finally putting in an appearance in front of the Georgian splendour of John Wood’s South Parade this morning. Plenty of pink blossom to cheer up everyone on this first day of the working week. The car park at the back of M&S. Popped around the back of Marks and Spencer to take some images in the ‘pick-up’ car park as – behind the cars – a little seen section of the city’s original mediaeval wall. The plaque on the wall. 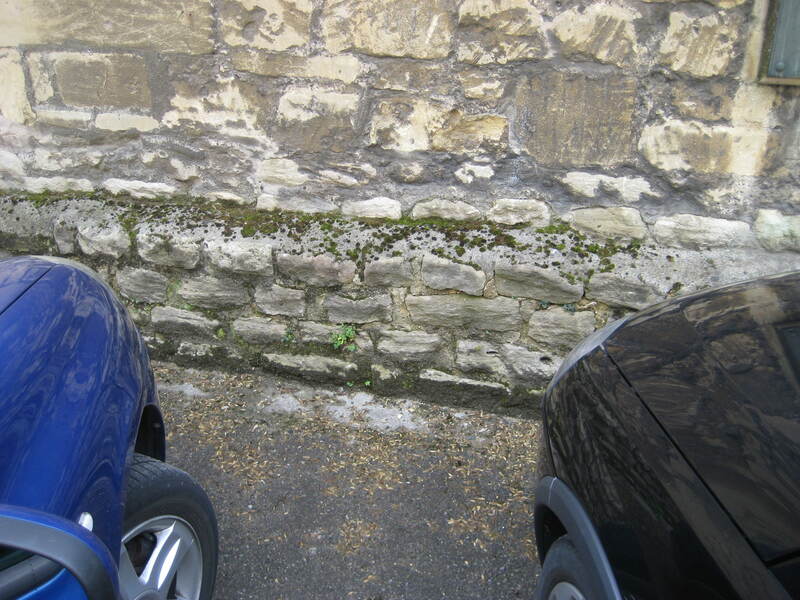 It is marked with a plaque but this is usually hidden behind the vehicles who use this space. 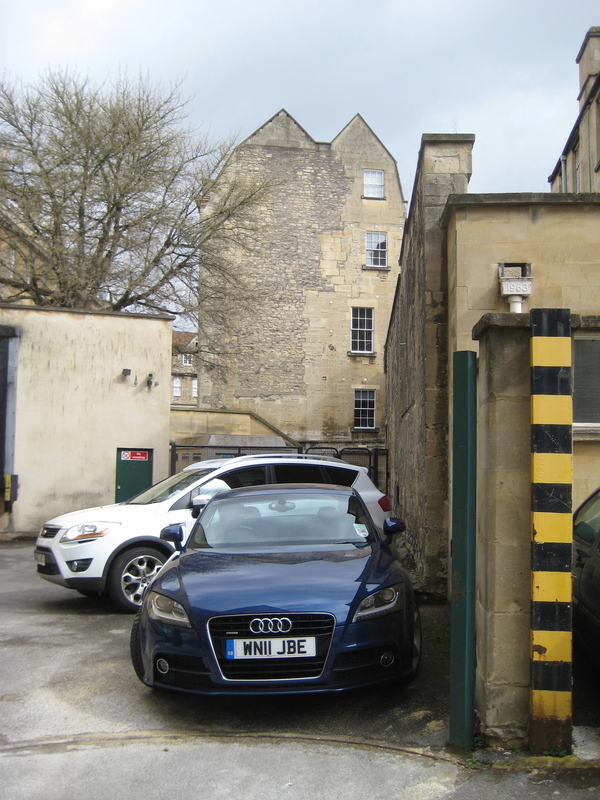 The bottom courses are part of the wall which once enclosed the original city of Bath. 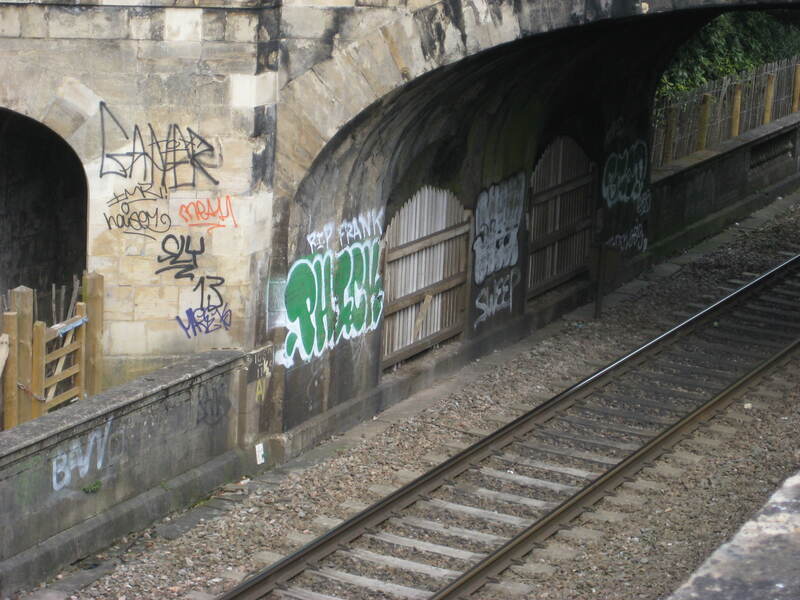 Also sorry to see the graffiti affecting some of Brunel’s railway bridges through Sydney Gardens is going from bad to worse. The graffiti grows in Sydney Gardens. When will Network Rail step in to do something here? Meanwhile, at the top of Cheap Street, a new cycle-way has been laid but then blocked. One assumes it is until all the road markings have been replaced on the newly-laid tarmac? Finally, a reminder of a much-loved music shop. 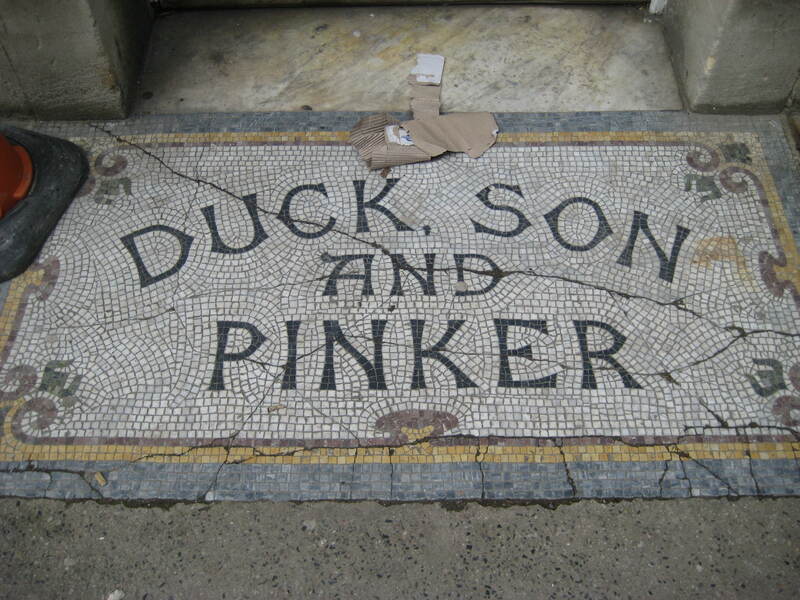 A ‘welcome-mat’ in mosaic to one side of the lane leading to the side entrance of The Podium and the Waitrose store.